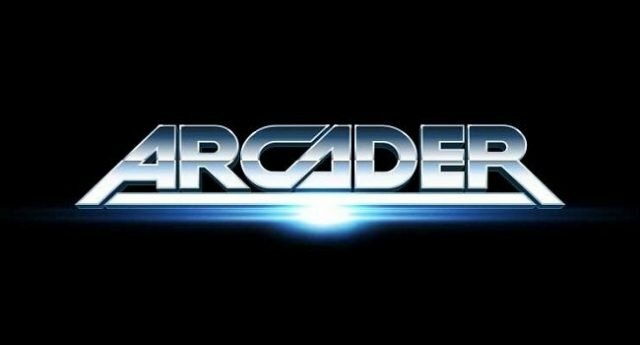 Arcader is a brand new online mobile video slot game from the house of ThunderKick software. This is a 15 payline video slot game. The game includes a wild symbol as ‘w’ the expanded symbol that expands throughout the reels and the bonus symbol. The bonus symbol is the scatter symbol in the form of letter B and it triggers free spins. Players can check out this beautiful slot at any Thunderkick online casino listed here at top10casinoreviews.com. Please take a look at the button available in this slot machine. The “bet” option is used to pick the preferred wager. You can play this slot with starting 20p per spin to up to 100 per spin. The “Spin” option will start playing the game at the selected bet and the “auto play” option will play the slot for a predetermined number of times uninterrupted. If you land 3 or more scatters then you will free spin. 3 of the letter B symbol will give you 9 free spins with ax1 multiplier. 4 scatters symbols will give you 9 free spins with x3 multiplier and 5 free spins will offer you 9 free spins along with x9 multiplier. The symbol “M” is for Mystery symbols. If you land 3 of these symbols then it will trigger Mystery game. 3 m will get you a x1 multiplier, 4 ‘M’ will get you a x2 multiplier and 5 M symbols trigger the Mystery game with a x6 multiplier.